WINNER ANNOUNCED in the Fenix Madness Tournament! 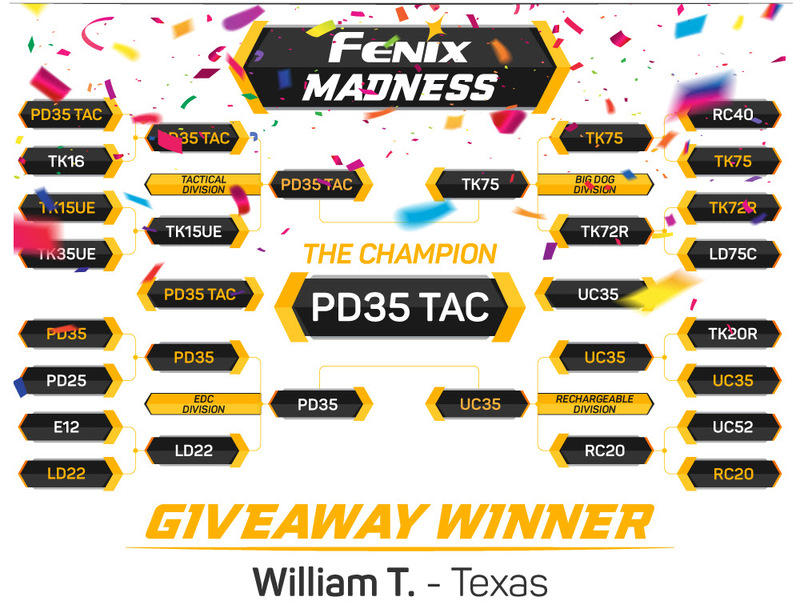 FENIX MADNESS has concluded and to the surprise of no one, the PD35 TAC has been crowned the victor. Thanks to all who participated in the tournament voting; it's been fun seeing which lights are the crowd favorites! Also, we'd like to congratulate this year's Fenix Madness Giveaway winner - William from Texas! William has already eagerly claimed his prize!